Parlez-vous Doggish? At long last, dogs will know just how smart their owners can be. 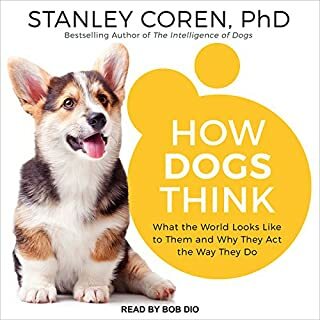 By unlocking the secrets of the hidden language of dogs, psychologist Stanley Coren allows us into the doggy dialogue, or "Doggish", and makes effective communication a reality. 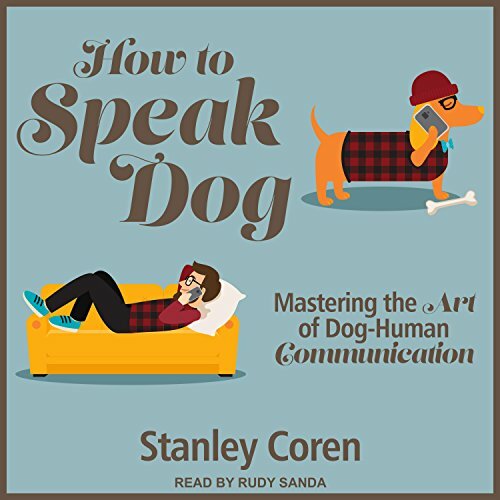 How to Speak Dog not only provides the sounds, words, actions, and movements with which we can effectively communicate with our dogs, but also deciphers the signs that our dogs give to us. 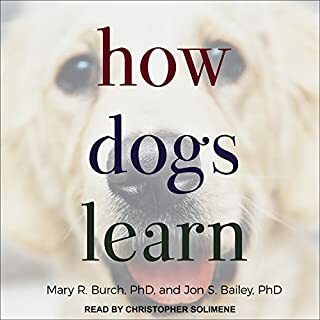 With easy-to-follow tips on how humans can mimic the language dogs use to talk with one another, How to Speak Dog gives dog lovers the skills they need to improve their relationships with their pets. Excellent, detailed descriptions. 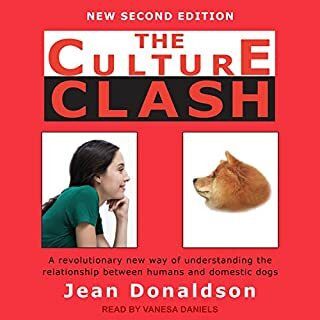 Although this is an audiobook, I truly wished for video illustrations many times as visualising bodylanguage is challenging especially when it happens fast as it generally does in annimals. For sounds I wished for actual dogsounds rather than immitated by human voice. I train my GSD's for SAR and we compete. I found this infomation very useful since understanding and communication is the basis for all training. Techniques are important, but usless unless you can read you training companion and arrive at the result together. And awesome feeling of accomplishmenr and bonding for both! I was rather surprised that a story about the dog language would be so long. it turns out to be much more complex than woof and bark. Listening to your dog speak requires you paying attention to the whole dog. Great book, well read. I listen in my car. im on chapter 4, so far its not so much NEW information , but does refresh me in my current knowledge. i am not done yet, but ill try to revisit this review when i am. i am a dog trainer or rather a dog translator for humans. most of my knowledge is self learned , but i am looking to get into some kind of schooling , as to continue to grow. for anyone just starting out , the beginning should prove very insightful and if anything help you decide if youre on the right path. Edit: Just finished and have found a lot more useful, new information in the later chapters. HIGHLY recommended! 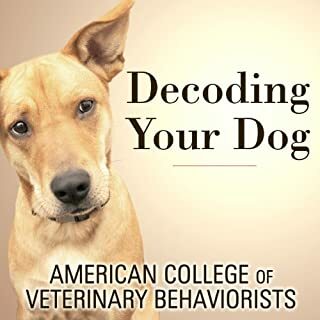 This audiobook is full of valuable information in understanding dog body language and behavior. The examples presented are well described and spot on. The reader is very pleasant to listen to, and gives wonderful impressions of signals and sounds--a real bonus to listening vs silently reading. I only got part of the way thru it. Not worth spending the time to listen. Boring stories. Not what I was hoping for. 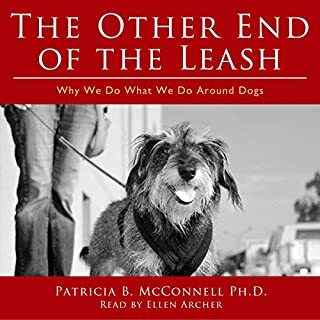 I've been studying canine communication and psychology for some time and I can't help but notice some familiar stories but changed slightly in this book from other psychologist. It's well known now that even though dogs or 98per cent wolf they are nothing like each other at all schenkle has been proven wrong (wolf pack theory) hundreds of times he even admits his work was floored from the start wild wolves do not work as a pack they are a family unit there is so much more work to be done as regarding research. Alexander Horowitz is a far better book to read and is forward thinking in it's approach, would you ask a monkey for tips on how to raise a child so why ask a wolf regarding a dog ? a easy to follow guide to understand our dogs and their language. 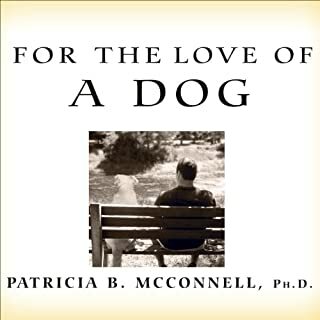 this is a valuable resource for a dog owner or dog professional. I found myself nodding along to parts and amazed at finally understanding the actions of my dogs. I confess the cover did not prepare me for such a well researched book. It was an engrossing listen. It made my brain work which I enjoyed.